Even among the truest believers in the NDP, doubts are growing about their rookie leader. They say Jagmeet Singh lacks communications skills beyond photo-ops, stands for everything left and nothing definitive at the same time and rarely projects the aura of being in command of his caucus. Meanwhile, the NDP is polling near electoral road-kill levels, it’s not raising enough money to finance a decent campaign and it is losing heavyweight incumbents in an annihilation-avoiding exodus. 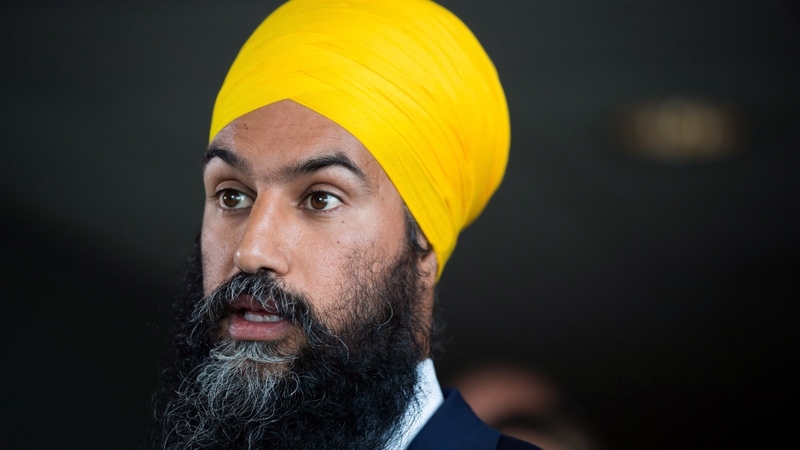 All, insiders mutter, could be lost unless Jagmeet Singh miraculously turns it around, and soon. But consider what will happen tomorrow and judge for yourself if Singh has elements of the right stuff to play it tough in politics. Singh will officially let his name stand as the NDP candidate in a byelection— in a B.C. riding where housing is unaffordable on an unpaid leader’s salary—to seek a seat he may not win. It’s a gamble that would— if his bid fails—force him out of the leadership less than a year before a federal election. That takes more guts than brains. This is because Singh correctly believes he can’t fight a federal election campaign as a credible leader without first having a Commons presence. Ironically, it’s a byelection where his strongest support comes from the least likely of places. The Liberal party wants him to win so badly, the Prime Minister may well give Singh a free pass by not putting up a Liberal competitor. They correctly believe Singh’s weakness is their strength because they would vacuum up enough disgruntled Dippers to win ridings they lost to a vote split. There’s equally keen interest in Conservative ranks to see Singh lose, believing any emergency replacement as leader would be a stronger election rival and siphon votes away from the Liberals. That’s not exactly a vote of confidence in Singh’s future election performance. So get ready for a bizarre big-stakes byelection as Singh leaves his comfort zone in the Brampton area for a Burnaby riding his party won by a squeaker margin in 2015. Clearly, Singh has many faults, perhaps too many to overcome before the voters pass judgement on his party. But for diving into a by-election that’s so risky personally, financially and politically, Singh should give faint hope to his doubters and command grudging respect from his detractors.